Crackle finish started being popular for all kinds of primitive country crafts a few years ago, and then the craze (pardon the pun) went away. I still use this finish on some things, and I like it even better if I can find a piece of furniture or a door that has this look naturally. These pieces should be treasured, not stripped down for repainting. The genuine article is impossible to really copy, so a piece with natural crackling should be kept that way. 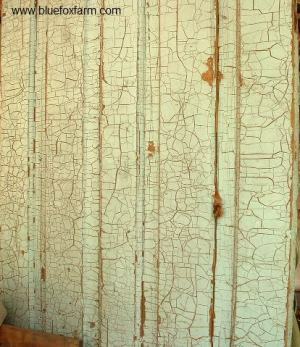 You don't have to wait years to get this same appearance of age and patina. 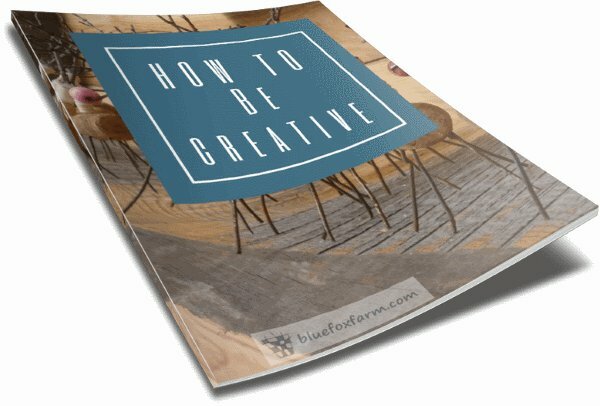 Here’s what I’ve found to emulate that look and reproduce it with some simple ingredients and methods. Even though you'll never be able to copy it exactly, it still gives a great old looking appearance to wood objects and furniture. You'll need several colours of Acrylic Craft Paint, found at dollar stores everywhere. Make sure you buy new stock as it does tend to dry out in the bottle as it ages. In other words, spend the couple of dollars a bottle instead of stock clearance of one dollar which will be wasted. For the cheapest crackle finish of all find some of that Elmer’s White Glue, a staple in all elementary schools across North America; it’s one the most common types of glue and available in any stationary, box store or dollar store. I use this as the base, after trying some of those really expensive crackling medium type products, I’ve found Elmer’s White Glue to work just as well, and much more economically too. Get your pieces of carpentry scraps together – if you’re making a rustic wooden box, attach the pieces first before you paint, as it’s easy to scratch the finish (rustic is the look we’re after, but this may be a bit much!). You’ll also need some fine grade sandpaper; a tack cloth or two; several paint brushes in different sizes and a drop cloth or newspaper to work on. First paint the board with a base coat of acrylic craft paint. This can be any colour you like (or even one you don’t, as only tiny amounts of this will show). Allow to dry thoroughly, overnight if possible. You can omit this step if you want just the wood colour to show through. Sand the board to remove any dust that may have stuck to the paint, and wipe with a tack cloth. Dribble the Elmer’s White Glue or crackling medium of choice onto your prepared board, liberally. 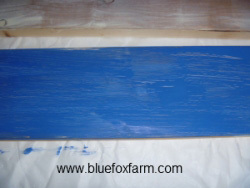 Using a slightly damp paint brush spread the glue around until the board is covered. Now dribble the acrylic paint in your choice of colour over the glue or crackle medium. 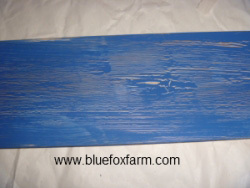 With a barely damp clean paintbrush, using strokes down the length of the board with the grain cover the glue completely. 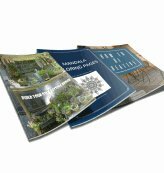 Here's what you'll need for this project - buy them from Amazon. I generally buy my acrylic craft paints at the dollar store, but if you don't have one locally, order them online here . If you're not keen on trying the crackling medium, Elmers glue is a great, very economical option. Get that here . There is no need to get any kind of solvent - this is water soluble, and very safe to use. 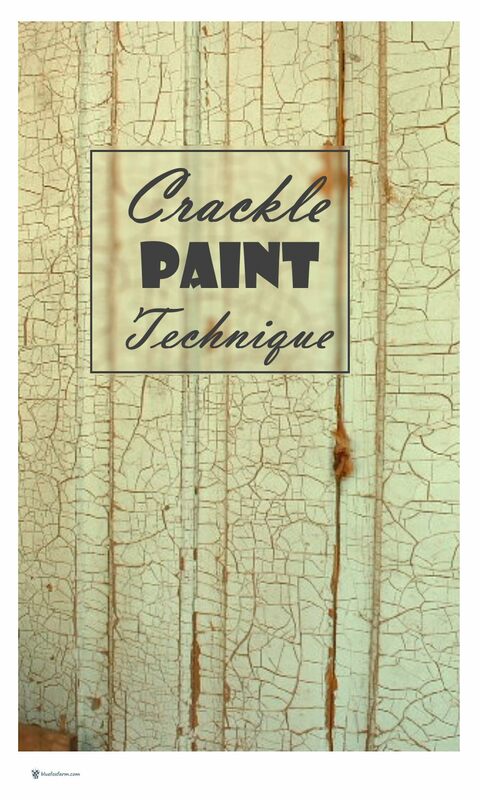 Crackle medium is the next coat if you're using it, applied with a brush - don't get too precious with this, the application doesn't have to be perfect, that's where the rustic look comes to the fore. Allow to dry, and watch if you like for the crackling to appear as the paint dries. This method results in a finer crackling. Variations can be achieved by diluting the Elmer’s White Glue with up to ten parts water, but I’ve had varying success with this, so experimenting is the name of the game. Try mixing a small amount of glue with a few drops of water, paint it on, then allow to try for a few minutes, then dribble paint and use a damp brush to spread it. This will give the effect of more or less crackle. Rust-Oleum Varathane Interior Crystal Clear Water-Based Poleurethane, Satin Finish is my go-to finish. This will last for years, even outdoors. Use your crackle painted wood for rustic garden signs, twig handled trugs and barnboard hook boards with either twig hooks or rusty nails salvaged from other projects.